Aman Lekhi is a senior advocate in India. He practices in the Supreme Court of India and the appears regularly in various other High Courts besides different Tribunals.He is also actively involved in several arbitrations. He graduated with distinction in Political Science (Honours) from Hindu College, University of Delhi and received a Degree in Law from Campus Law Centre, University of Delhi. The senior advocate’s practice covers several legal disciplines. Apart from appearing in the Indian coal allocation scam case,2G spectrum scam case and Commonwealth Games (CWG) scam case; he appeared for Ashis Nandy in a case that involved controversy regarding the latter’s alleged anti-Dalit remarks at the Jaipur Literature Festival, 2013. 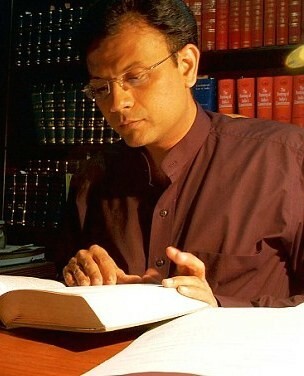 He has argued the case under Right to Information Act, 2005 against Union Public Service Commission of India with regard to Civil Services (Preliminary) Examination, 2006 subsequent to which UPSC had to change the pattern of examination itself.As a lawyer, he has argued several matters relating to telecom sector involving the Telecom Regulatory Authority of India (TRAI) wherein also, he has achieved notable success. He was the lawyer for Farida Dar “Behenji” in Lajpat Nagar Blast Case and for Nazir Ahmed Qasid and Farooq Ahmed Qasid in the case concerning the 2000 terrorist attack on Red Fort. Aman also appears for Zee network in the cases involving Naveen Jindal. He also appeared for Nirmaljeet Singh Narula (Nirmal Baba). He was also the lawyer in Shanti Mukund case and also the case settling the law of medical negligence dealing with the duties and ethics of medical profession. He has also appeared in the case concerning recommendations by Justice Majithia with regard to working journalists and non-journalists newspaper and news agency employees and the challenge to Working Journalists Act of 1955. He appears frequently in various national news channels including CNBC TV18 and Bloomberg and is invited to lecture on issues of legal and public importance. r u Mr Pran Nath Lekhi’s son,u resemble him a lot.